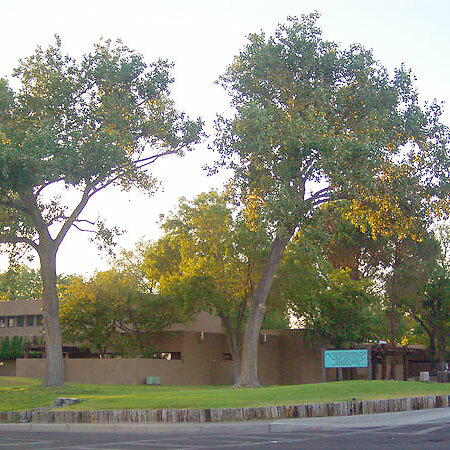 When your adolescent experiences a behavioral health crisis, he or she will find a safe, stabilizing environment in cottages on the campus of UNM Children’s Psychiatric Center. Your family will partner with our treatment team to begin recovery and plan for a successful discharge from Chimayo, Cibola, Chaparral or Gila cottage. We provide soap, shampoo, a toothbrush and toothpaste, but you’ll want to bring other hygiene products for your child. While staying with us, youths may not have cell phones, iPads or similar devices. Ask us about bringing other personal items to your child. Visiting hours are 5:30-6:30 p.m. Monday to Friday for Cibola and Gila cottages and 6-7 p.m. Monday to Friday for Chimayo and Chaparral Cottages. All cottages welcome visitors from 2-4 p.m. weekends and holidays. If you’d like to visit another time, talk to cottage staff. You and other visitors must be approved by our team. Accompany your child’s visitors who are 14-17 years old if you’re an adult. Don’t try to bring a child younger than 14 into the cottages, and don’t leave him or her unattended in the lobby. Visit your child with no more than one other visitor at a time. Do not bring outside food. Gum is OK. Secure your personal items in lockers in the lobby. Interact only with your own child. If your child is busy with cottage activities when you call, we’ll deliver your message. Please limit calls to 10 minutes. Your child may call you during specified times that vary depending on the cottage.